In the quiet forest and beautiful mountain scenery there is a perfect place for weddings. Choose from several locations for your wedding, whether it is in the quaint McKee Chapel, inside Jensen Chapel, any of our beautiful fields, relaxed amphitheaters, or the new Whittier Worship Center that boasts views of distant mountaintops and the national forest. Come see if one of our many options aligns with your vision. We would love to help you celebrate. Our goal is to exceed your expectations. We have a variety of catering and vendor options and suggestions for you, including our own in-house chef. Get the best of the beautiful mountains without cutting back on accessibility. Located in Crestline, California, we are closer to Los Angeles area than Lake Arrowhead! 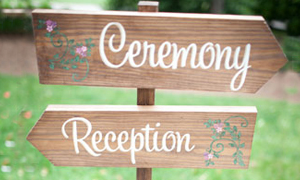 Call 888-423-2267 or email weddings@thousandpines.com​.